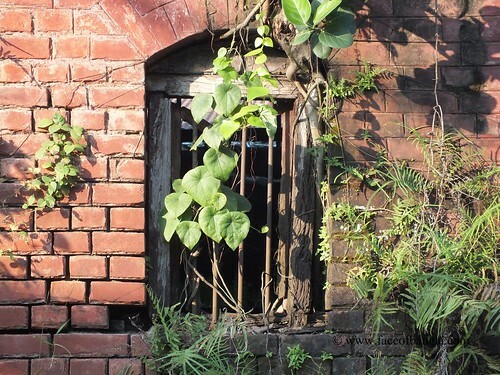 While searching the potentials of Kushtia district in an beautiful evening of the last october, my colleague drew my attention to an abandoned building. 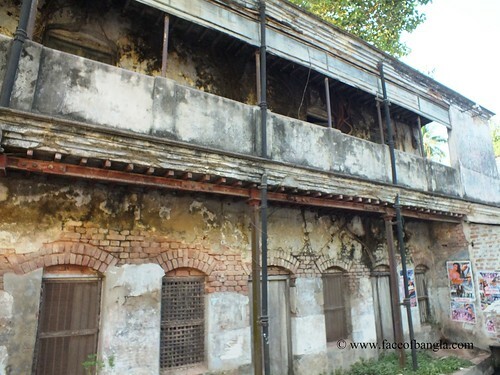 He informed that the building is the part of century old Mohini Mill. I could not believe that, I would get the Mill so near to the district headquarter. Even, I forgot the presence of this mill in Kushtia district. 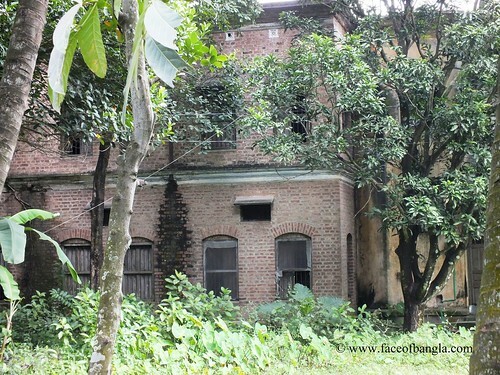 I read about the mill at “Shaheb, Bibi, Golam” of Bimal Mitro's epic literature. It was almost evening of the day. So, I decided to take some snaps of the mill structure in the next morning. Though, it was my departure date, I made a narrow space in my schedule to capture some of its recent views. Unfortunately could not collect the locals comments about the mill and its past. So, the below compilation is the summary that I have got in the internet about the mill and some from my memory that I recollected from the novel named "Shaheb, Bibi, Golam". 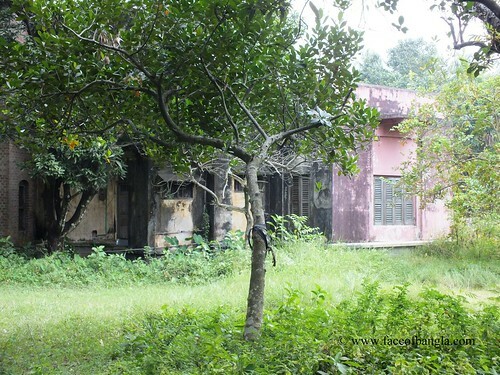 The Mohini Mill was set up in 1908 over 33 acres of land, in a place named Belghoria of Kushtia district. 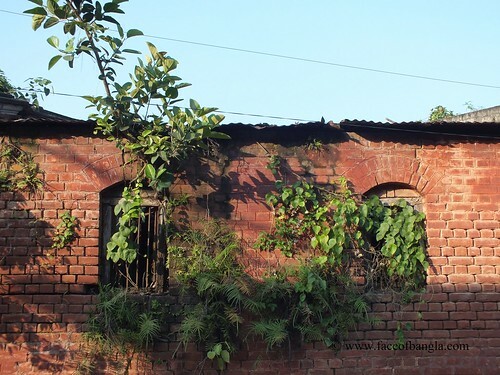 A nobleman named Mohini Mohon Chakrabartyi set up the mill on his own land. Within 1912 the activity of the mill expanded largely. Ten years later the mill had a formidable collection of 529 looms with 19,000 shuttles. According to a record, up to 55,000 yards of fine fabrics were produced everyday during this period. It was presumed that every Bangali at that era had used the fabrics of Mohini mill. This mill had also captured the foreign market. During its golden period, it produced not only fabrics but also various other items like Shidur, which is used to make sign on the forehead of the Hindu women as a symbol of marriage. The production on Mohini Mill came to an halt in 1965, when a war broke out between Pakistan and India. 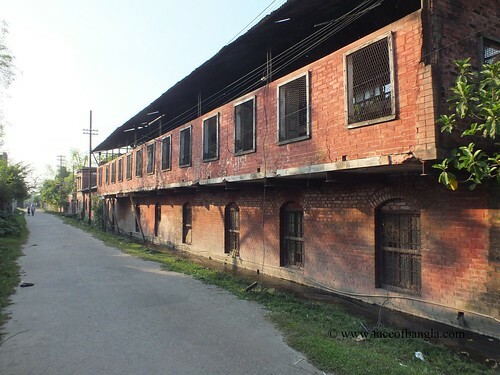 After the war, the Pakistani military regime declared Mohini Mill an enemy property and forced Mohini Mohon out of the country along with his family members. Actually this was the end of the Mohini Mill. At that moment, the Mohini Mill had 33 acres of land and about 2,000 employees. With a school named after Mohini Mohon, the mill boasted of a playground, a large pond, a market, a medical center, a temple and 284 single and double room quarters. The Pakistan Government then transfered the supervision of the mill to the then EPIDS (East Pakistan Industrial Development Service). Following the independence of Bangladesh, Mohini Mill was nationalized and handed over to the BTMC (Bangladesh Textile Mills Corporation). Mismanagement and anarchy gripped the institution. Corruption, misappropriation of funds and looting became rampant in and around the Mohini Mill. In 1978 the government took another initiative to save the mill from falling apart. The government set up BMR project taking help from British government. This time the mill was producing 1500 bells of cotton thread everyday. But incurred more loss. In 1982 when losses started rocketing, the government laid off 3,000 employees and shut it down through liquidation. Then the government decided to sell it. 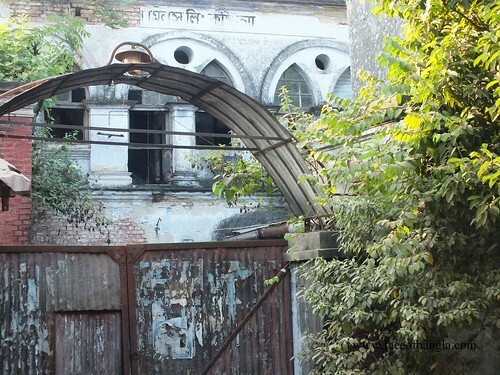 The Mohini Mill was restarted with a new name — Shah Makhdum Mill —on January 31, 1985 with only 100 employees. But the private management failed to click and in 1987 the mill was shut down with 10-months salary unpaid to the employees. After various attempts the mill was returned into production on 1989, but again closed down the following year. 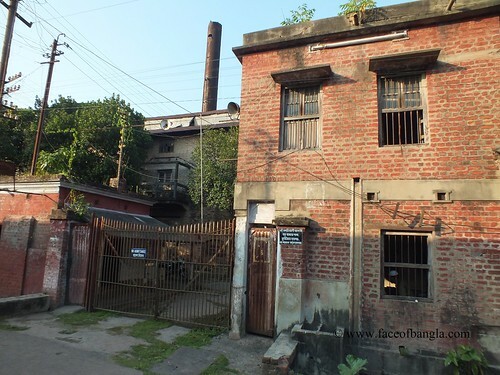 In 1990 the government took the mill under its custody and decided to sell it again but it failed due to court injunction on the sale as the private owner had defaulted with a loan of TK 10 crore they had borrowed from the bank to start the mill back in 1985 and that was the end of this decades old famous Mohini Mill. Now, a part of this mill is used by the Ansar Force. Most of the buildings are abandoned. The resident of the Mohini family is under government use. Once upon a time, it was full with opportunity, hope and life. But now, the century old structures are only witnessing the glorious past.